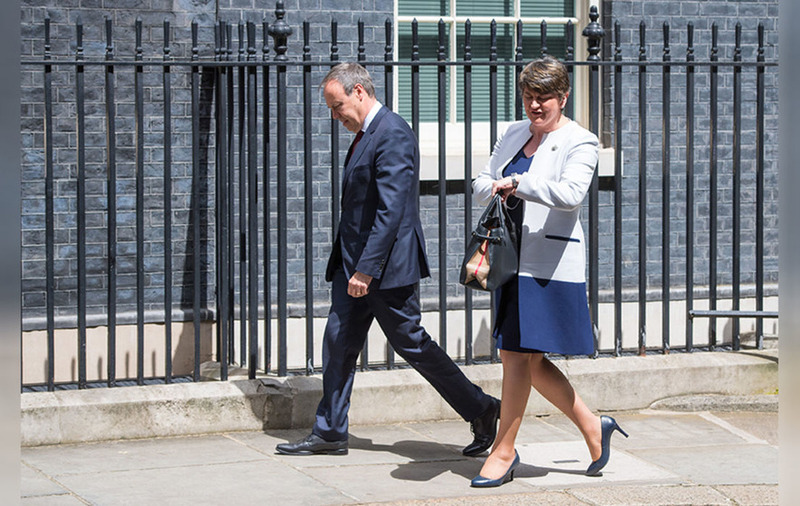 What might be on the DUP's wish list for Theresa May? 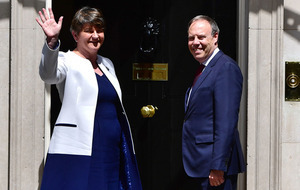 DUP leader Arlene Foster has indicated a deal to support the Conservatives' minority government is close to being finalised. 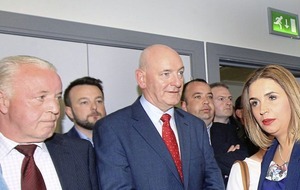 Speaking after hours of talks between the two parties, the former first minister said Brexit, counter-terrorism and "doing what's right" for the Northern Ireland economy were among the key issues being thrashed out. 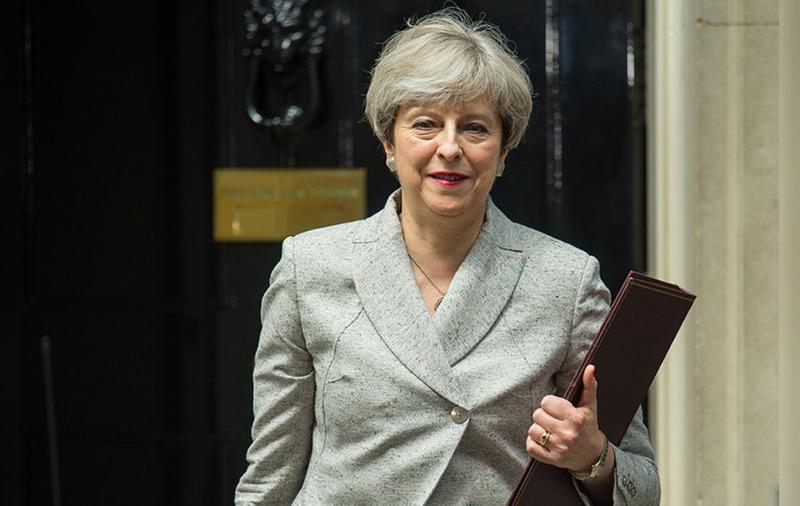 Discussions in Westminster are continuing without Theresa May after she left for Paris for a pre-arranged meeting with newly elected president Emmanuel Macron. Mrs Foster said: "We've had some very good discussions today and those discussions are continuing this afternoon. "I hope that we can reach a conclusion sooner than later." 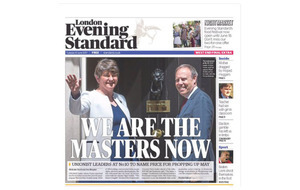 Mrs Foster said: "There's been a lot of commentary around the issues that we are talking about and it won't surprise anyone that we are talking about matters that pertain, of course, to the nation generally. 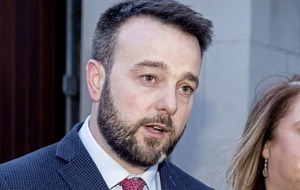 "Bringing stability to the UK government in and around issues around Brexit, obviously around counter-terrorism, and then doing what's right for Northern Ireland in respect of economic matters." A Downing Street source said the talks had been "constructive" but refused to put a timescale on when they would conclude. "It'll be done when it's done," they added. "Talks are going well." Earlier she had tweeted that the talks had been "constructive". The discussions had moved from Number 10 to Parliament to allow the British prime minister to speak in the Commons. Discussions are going well with the government and we hope soon to be able to bring this work to a successful conclusion. And a Downing Street source said the talks had been "constructive". Mrs May left for the Commons without answering reporters' questions about how negotiations were progressing. The prime minister did not mention the ongoing deliberations as she addressed MPs but called on Parliament to "come together in a spirit of national unity" to deal with the challenges facing the country. Labour leader Jeremy Corbyn turned Mrs May's election slogans against her, claiming a link-up between the Tories and DUP would be a "coalition of chaos". He said: "I'm sure we all look forward to welcoming the Queen's Speech just as soon as the coalition of chaos has been negotiated. "If that's not possible, the Labour Party stands ready to offer strong and stable leadership in the national interest." Nigel Dodds has spoken in the House of Commons. 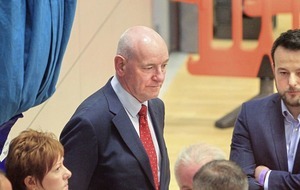 He paid tribute to the Northern Ireland MPs who were not re-elected.